Over the last 5 years Wil spent a lot of time north of the equator, performing live in London, Edinburgh, Ireland, Montreal and Los Angeles and securing regular guest appearances on the popular US late night comedy talk show, Chelsea Lately. Since 2008 Wil has hosted ABC TV's highest rating program The Gruen Transfer series- a role that saw him nominated for a Gold Logie in 2010, and spawned spin offs, Gruen Nation, Gruen Sweat and Gruen Planet. 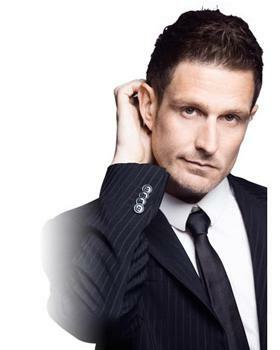 In addition to his Gruen commitments in 2012 Wil was busy touring his hit live show Wilarious tosold out venues around Australia, earning rave reviews and winning his third consecutive Bulmer's People’s Choice Award at the Melbourne Comedy Festival.Not to mention being named one of comedy’s hottest acts by none other than John Cleese, proving that this world class comedian is definitely at the top of his game. Wil started 2013 doing live shows in Vancouver, Minneapolis and Denver before returning home with his new stand up show, GoodWil, debuting at the Adelaide Fringe Festival and occupying the prestigious Princess Theatre during the Melbourne International Comedy Festival. GoodWil also toured nationally to sell out crowds. Wil then returned to the US for a short time, doing more live shows in Alaska, Washington DC and LA, and then headed to London to do a season at the Soho Theatre. In 2013, Wil was invited to perform at the prestigious Just for Laughs Festival in Montreal, performing alongside some of the worlds best comedians. In conjunction, he also hosted a television special for Channel 7, Wil Does Montreal, giving us a behind the scenes look of the festival and some of it’s performers. 2013 also saw Wil return to the ABC with Gruen Nation and Gruen Planet. Gruen Nation had a 4 week in depth look at the 2013 election and Gruen Planet is doing what the Gruen series does best, looking at the crazy world of advertising and spin. Wil has started this year much like the last, doing the thing he loves best, live shows in and around LA. He returns to Australia for yet another festival season, with a brand new live show, Wiluminati.